With temperatures expected to reach 100 degrees this week, health officials are urging area residents to keep cool. Older adults, children and pets are at risk. Those without regular access to air conditioning, children, older adults, and pets are especially at risk, said Melba Moore, acting health director for the city of St. Louis. "Stay hydrated, check on your neighbors, if you must be outdoors, take frequent breaks," Moore said. "When it’s hot like this, children and pets should not be left in a car. If a pet cannot accompany you inside a cool building, the pet should stay at home." If you need a place to get out of the sun, the city has a 34-page list of cooling sites across Missouri and Southwest Illinois on its website. Among those places is the East St. Louis Public Library. Circulation Clerk Jasmine Darough said visitors can spend the time reading, using computers or just cooling off. 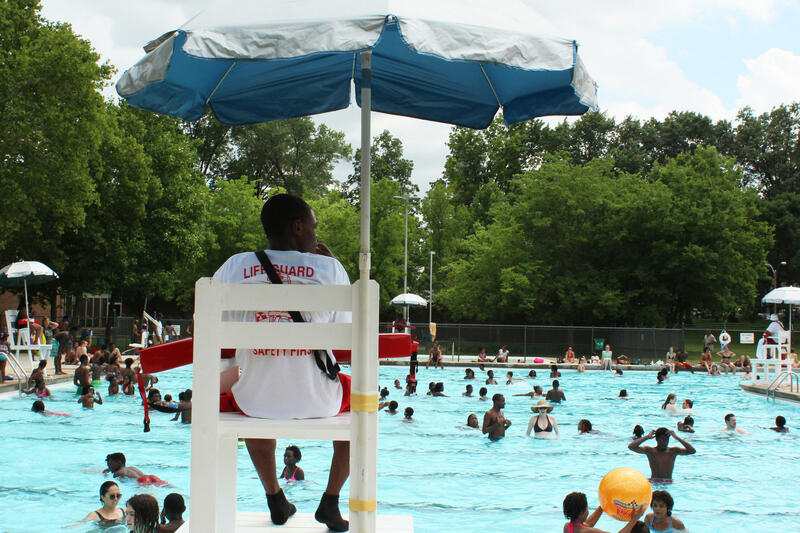 "There’s not enough water, or ice cream, or freezer pops, or even enough pools to relax and to cool off in until the sun [goes] down," Darough said.